Planning a bachelorette party is a little like shopping on Black Friday, herding cats and dealing with a crying toddler all at the same time. But you can host a great hen party with some good planning and a little luck. Just check over this article to find out everything you need to know about throwing the best ever bachelorette party without going nuts in the process! The best bachelorette parties all have one thing in common – lots of planning. Here’s what you need to know so you don’t get overwhelmed. You can’t plan a great hen night without knowing what the guest of honor wants. Your conservative friend might want to cut loose with an army of strippers, while your free-spirited friend might be dreaming about a quiet tea party. After the separating the must-haves from the off-limits, ask the bachelorette about a potential guest list to make sure the party’s appropriate for all the guests. You don’t want to go to a bar if some of the guests are under 21. And you might stay away from the strippers if the conservative mother-in-law might be tagging along. The best bachelorette parties generally have some sort of theme to add a little method to the madness, whether it’s a sophisticated girls night out or a pizza filled slumber party. Themes make it easier to come up with decorations and activities. 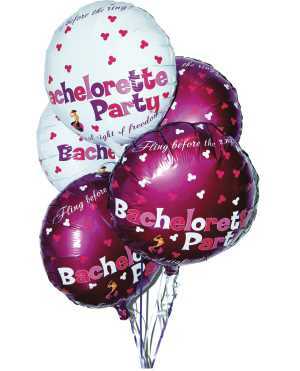 Just make sure your theme fits the bachelorette’s ideas. After developing a theme, you can come up with some fun stuff to day. It might involve a champagne-filled brunch followed by a day at the spa. It could be renting a limo and then going to a concert with the bachelorette’s favorite group. Or it might involve a stripper! The best bachelorette parties generally involve mixing some risqué fun with wholesome heart-felt moments, so plan accordingly! Now that you’ve got your bachelorette party mapped out, it’s time to start making reservations. If you want to go to a specific restaurant, then call ahead and make sure they can handle everyone in your party. If you want to take a limo, then you’ll need to call a rental agency. It’s also a good idea to send out invitations to the bachelorette party. About two weeks or so before the party, set aside some time to go shopping and pick up any special decorations or other items you might need. Some bachelorette party planners put together a little gift bag for guests. Confirm any reservations you made to avoid last-minute snafus. The day of the party, make sure you give yourself plenty of time to set things up. Depending on your bachelorette party plans, it might take a few minutes or a few hours to decorate. And be sure to have fun!